Looks delicious as always Mary Ann!! I made a cherry crisp and loved it. 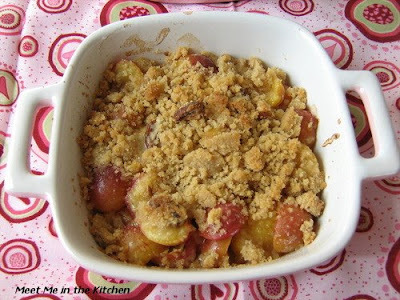 Your crumble looks wonderful! I can't get enough cherries this summer! What a wonderful way to use cherries! 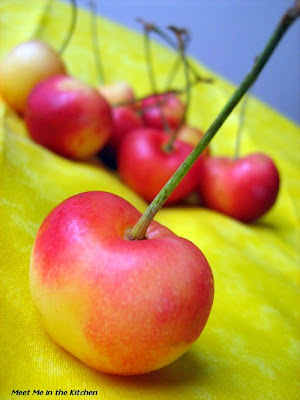 Gorgeous photos and very nice post...happy she was craving the cherries as we got benefit from seeing all this. Beautiful job. 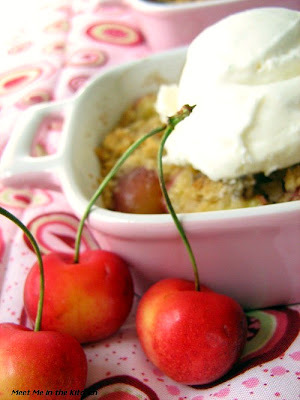 I love that you used the rainier cherries for this crumble. It makes it all the more special in my opinion! 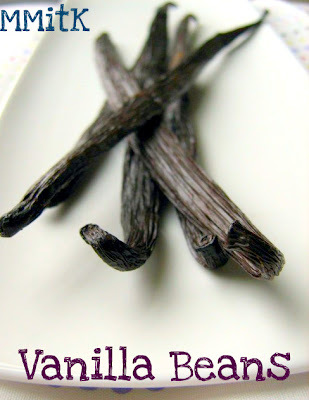 The vanilla ice cream looks divine as well! 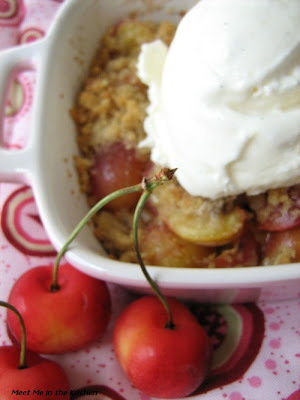 Vanilla ice cream and cherry crumble are perfect together! Oh my gosh, that looks like the perfect dessert... ice cream, cherries, and some crumble thrown in. YUMMMM!! Nothing says "summer" like a warm fruit dessert and cold vanilla ice cream!! 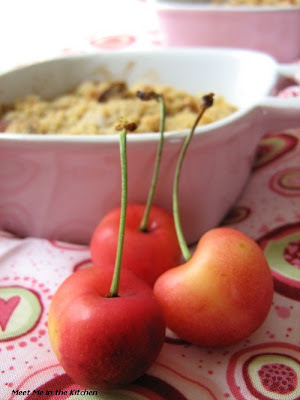 Cherries are a big favorite of mine, and I love the healthiness of that CL recipe. 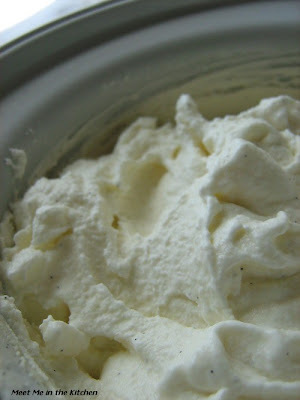 I'm glad I didn't steer you wrong on the ice cream; my husband likes it more than custard-based. 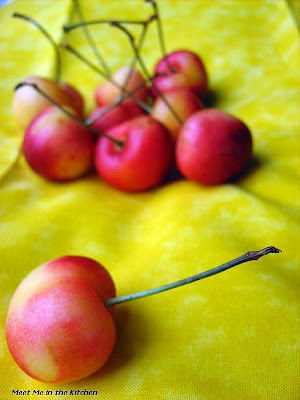 I have been loving Rainier cherries the past few weeks. Hey, did you get yours buy one get one free at Publix? They've had that special for a couple of weeks (haven't noticed if they have it this week!) and I've been in heaven! 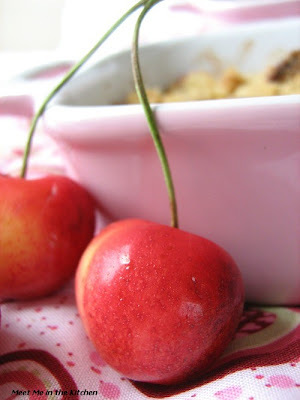 I need to make this crumble while the cherries are still abundant and delicious - it looks incredible!